NAFA members are rejoicing in the news that Rod Setterlund, President of NAFA and wife Deborah Setterlund, NAFA Research Officer, each have been honoured this Queen’s Birthday, June 10 2013, with a Medal of the Order of Australia (OAM) in the General Division. The Order of Australia is the pre-eminent means by which Australia recognises the outstanding and meritorious service of its citizens. 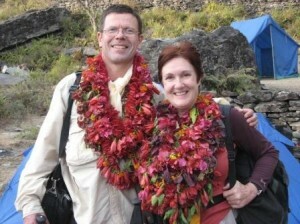 Rod and Deborah have been recognised for service to the Nepalese community. 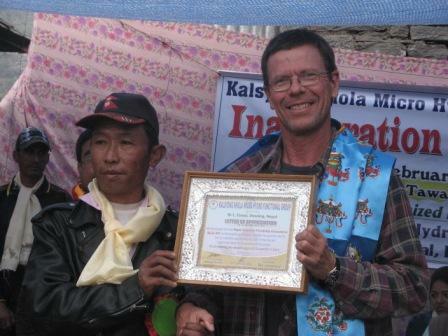 The awards of OAM add to Rod’s receipt of an inaugural National Friend of Nepal Award from the Non-Resident Nepali Association Australia in 2008 and Deborah’s receipt of the University of Queensland Vice-Chancellor’s Alumni Equity and Diversity Award in 2009. In response to receiving news of their awards Deb and Rod paid tribute to the collective efforts of NAFA members in improving conditions for disadvantaged people and communities in Nepal. 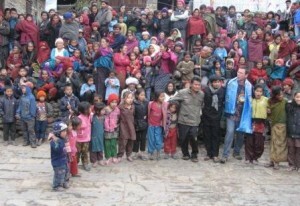 They referred to the wonderful work of the NAFA management committee, the vibrant Nepalese community in Brisbane, all NAFA volunteers and supporters, generous donors, NAFA’s project coordinators in Nepal, Joy Foundation Nepal, and NAFA’s like-minded aid partners, Nepaleducaid (Austria) and Smile Back to Me, Spain. While Rod and Deb are always inclusive of others in any references to NAFA’s success, their OAM awards are a personal tribute to the unique contributions they make to NAFA’s work both in Brisbane and in Nepal, which we are pleased to highlight. Officially, Rod has held the positions of first Treasurer and for the last 6 years President of NAFA while Deb has held the positions of Assistant Secretary and in recent years, Research and Evaluation Officer. Deb also serves on the management committee of HearingNepal and on the committee of the Nepal Australia Research and Studies Centre (NASREC). Rod and Deb have travelled to Nepal at their own expense every year for the past 12 years, assessing, monitoring and evaluating NAFA supported projects, including those located in remote villages. Rod and Deb’s contributions centre on their leadership capacities and practical skills. Rod uses his training in organisational development to build NAFA’s capacity, by encouraging stronger connections with the local Nepalese community in Brisbane, and seeking more Nepalese people to take management positions on the NAFA committee. This has built greater trust and co-operation with the Nepalese community who work enthusiastically in partnership with NAFA to raise funds for NAFA supported projects in Nepal. Rod implemented a strategy for NAFA to partner with like-minded international non-government organisations, individual donors and government funding sources. Under Rod’s leadership, NAFA has grown into an organisation which has allocated an average of nearly $120,000 in each the last five years. Rod and Deb introduced an integrated community development model for NAFA’s project work and management, based on concepts of equity and social justice, strengths assessment, capacity building, local ownership and outcome evaluation. NAFA now delivers an impressive range of both ‘one-off’ and longer term integrated development projects, aligned with UNMDG policy. Rod has uses his practice skills in community work to put NAFA’s operating principles on the ground. In villages or communities where NAFA has ongoing projects, Rod facilitates community meetings in partnership with community leaders. This ensures that local knowledge and leadership are respected; that community members have strong ownership of projects; and that project outcomes meet village driven development priorities. 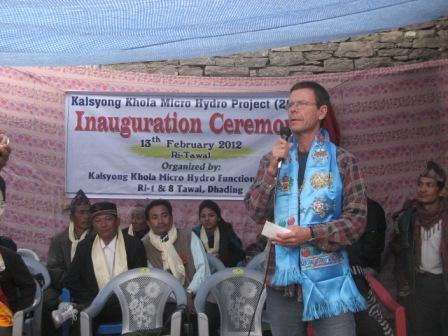 Rod’s leadership and expertise in community work drove what is NAFA’s largest project to date – the Tawal and Tawal Besi micro-hydro electricity project that provides power to 250 households, a health clinic and the area feeder school. Rod sought expert engineering advice and was able to assess the detailed technical design and funding aspects of the project proposal. He then travelled to Nepal at his own expense specifically to engage the entire Tawal community in planning and managing the project. This ground work provided the confidence for the NAFA management committee to back this complex project. He was honoured to officially open the system in February 2012 . The positive economic and social outcomes from this project has provided the impetus for further development through a 5 year improved cooking stove and re-forestation program involving all 13 villages in this area. 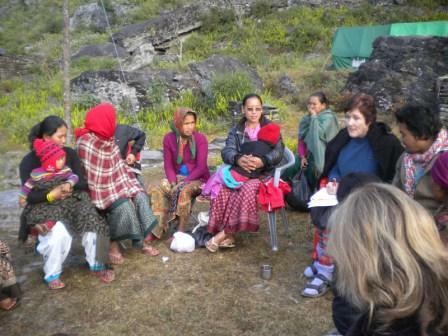 Rod has also conducted workshops in Nepal on organisational management using an adapted version of a CD he developed for Indigenous communities in Queensland. Rod and Deborah designed an English language practice program to assist rural students with the oral part of the English test in the national SLC exam and delivered to year 9 students when visiting the remote school of Tawal. Deb’s academic research skills and ‘hands on’ community development practice skills complement Rod’s contributions. Deb assists with conceptualising projects, facilitating training workshops, program evaluation and social work student education. Like Rod, Deb has a strong sense of social justice and ensures that the views of the least powerful groups and individuals are heard and respected in all aspects of project delivery in Nepal. This includes listening to lower caste women in a mixed caste group, ensuring dalit families are included in evaluations, hearing from carpet factory parents, arranging to talk to women separately when needed, and affirming the experiences of young people who may be struggling to express their difficulties with study and independent living. 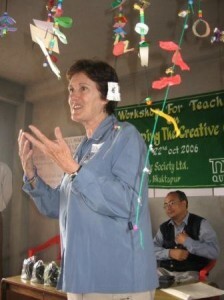 Deb planned and facilitated a workshop for 20 Nepali teachers entitled ‘Developing the Creative Child’ at VSN School. The non traditional, experiential approach was enthusiastically received and helped the teachers to engage with quite complex concepts in education and to adopt a more contemporary learning approach with students. Deb supervised five University of Qld social work students undertaking field work in Nepal, training them in community development, educational workshop delivery and program evaluation. 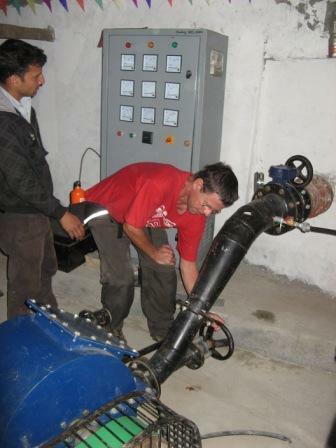 Student involvement in NAFA projects adds value to NAFA’s work in Nepal. For example, Deb and social work students developed a Leadership Program to help young Nepalese students make positive choices in life. The program was delivered to over 160 students who reported better skills in problem solving and risk management and feeling more confident about leaving school as outcomes of the program. Deb has designed, overseen and written up a series of social surveys and project evaluations in collaboration with students. The Tawal Social Survey (2011) provided NAFA with detailed information about local priorities and capacities and baseline data for evaluation of outcomes of ongoing community development in the area. The Evaluation Report on the VSN child education sponsorship program and the Thimi carpet factory health clinic helped NAFA to fine-tune these programs. Deborah trained a Nepalese graduate health nurse to collect the data for the most recent survey, the Tawal Village Health survey (2012). 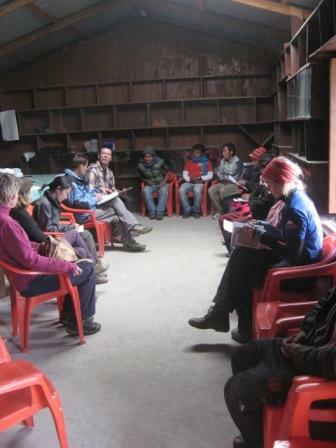 Information from the survey is now being used by the Tawal area communities to tackle health and environmental problems in partnership with NAFA.Deb and Rod are passionate about the work they do as NAFA members. They believe that collective action brings together the mix of ideas, knowledge and skills that make for better solutions to complex issues. They thank everyone for the heart-felt messages they have received in relation to their awards and look forward to continuing their work with the NAFA network.